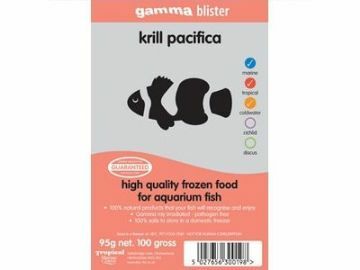 Cascade Koi & Aquatics sell a wide range of gamma frozen marine food. 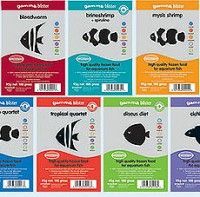 Gamma Blister Pack Frozen food. The only food used by Tropical Marine Centre at its three UK fish-holding facilities. Highest quality ingredients. Rapidly packed, sealed & frozen. 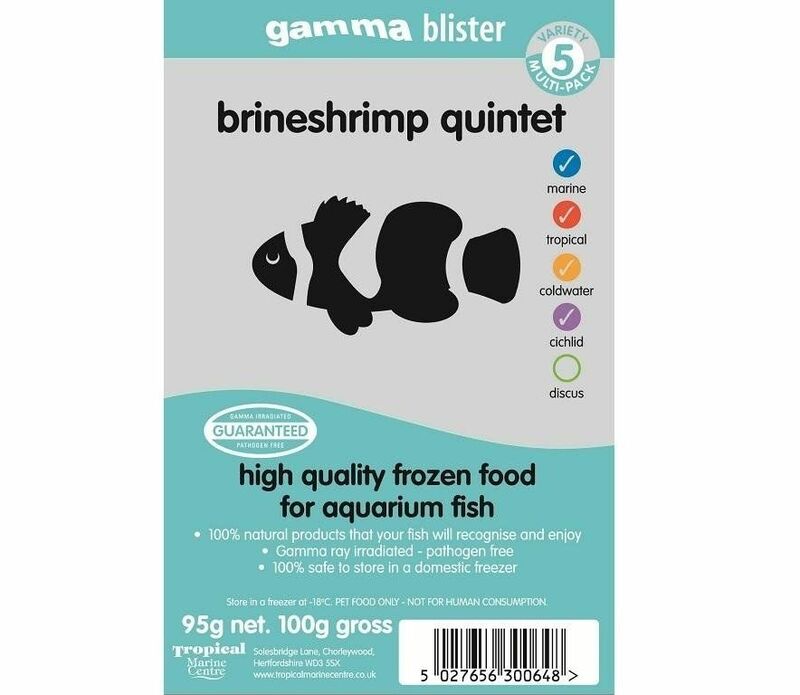 Gamma irradiated: This completely eliminates any risk of introducing harmful parasites or bacteria into your aquarium, and also means that the food is completely safe to store in your freezer. 100% natural products and the wide variety available ensures that individual species of fish receive a balanced, varied and interesting diet. Blister packs are designed to dispense one measured cube of food at a time, leaving the rest of the product sealed within their separate blisters. A quick and convenient way of feeding fish. Colour-coded feeding suitability guide makes it easy to find the right food for your fish!